Royal Fever is still going strong all around the UK… the arrival of The Duke & Duchess’ new baby boy is sure to cause excitement amongst the Royal fans out there! Not to forget the jampacked royal calendar we have this year, with Harry & Megan’s wedding just around the corner and who can forget our future King’s 70th Birthday at the end of the year – it is truly shaping up to be a year to remember for any Royal’s fans out there! To celebrate the birth of the new Baby Prince and the up and coming Royal festivities, Heavensent has decided to relaunch our Royal Baby Range that was so popular following the arrival of Prince George & Princess Charlotte. We have decided to bring back some of our classic designs and gifts that are now accompanied by some brand new crafted idea’s! Our limited edition Royal range is guaranteed to bring a little fairy tale magic to your little Prince or Princess this summer! 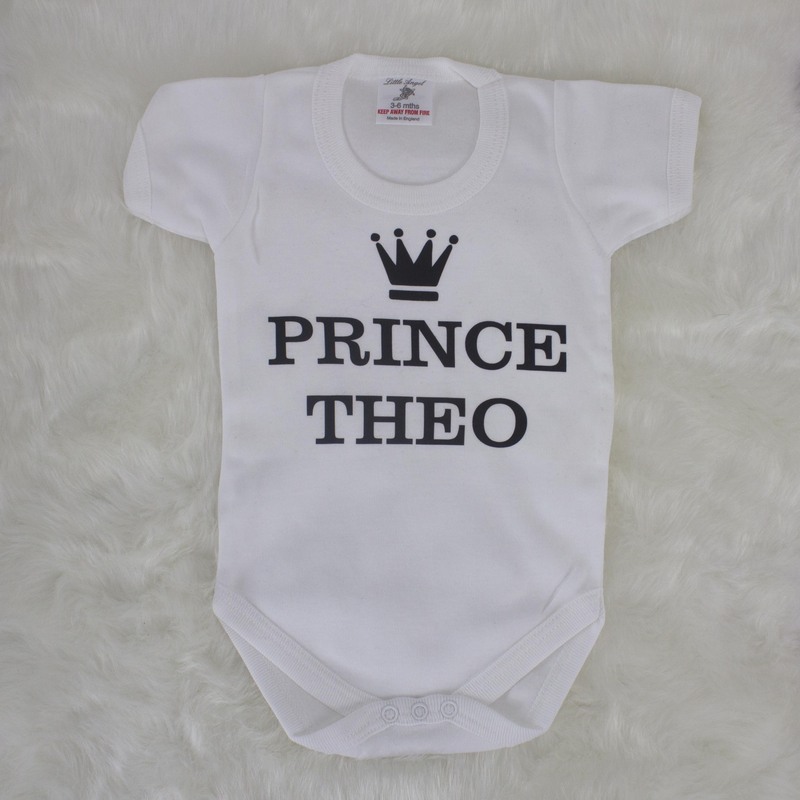 Crafted exclusively for this range, our delightful Personalised White ‘Royal Baby’ Clothing Gift set is sure to be a popular present for every Royal lover, that includes a personalised, bodysuit, Babygro, bib & hat – this will have every little one covered from dawn till dust! Little one’s can have their name personalised on their new clothing gift set in a range of colours from striking gold to a dusky pink that will add a dash of extra magic to their new wardrobe! 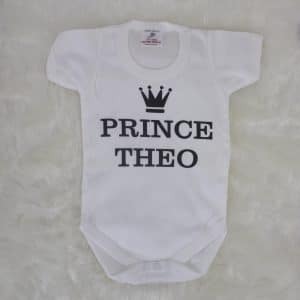 This range also features some more adorable clothing with our adorable Personalised ‘Prince’ & ‘Princess’ bodysuit’s, emblazoned with a signature Crown & emblem along with their very own name – a truly unique keepsake to celebrate this truly exciting royal year. Back by popular demand! 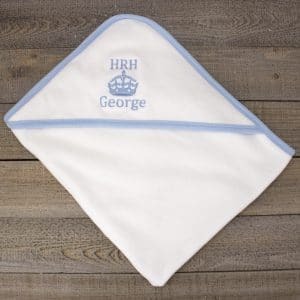 Our royal inspired Personalised Hooded Towel has been given a special update in the form of a limited edition embroidered crown above your little one’s name – making it a truly royal bath time. We also have some of our most popular royal themed products for sale, including our personalised little prince or princess blanket Personalised Hooded Towel and comforter gift set – if you’re feeling extremely patriotic why not take look at our Queen’s guard blanket & comforter gift set !